Just a week after a triumphant staging of the 2018 Breeders’ Cup, the Churchill Downs community and racing fans nationwide were reminded the sport can deal tragedy in equal measure when veteran Churchill exercise rider Odanis Acuna died early Saturday morning from head and neck injuries suffered when the horse he was breezing, New York Harbor, broke down and threw Acuna to the dirt track. 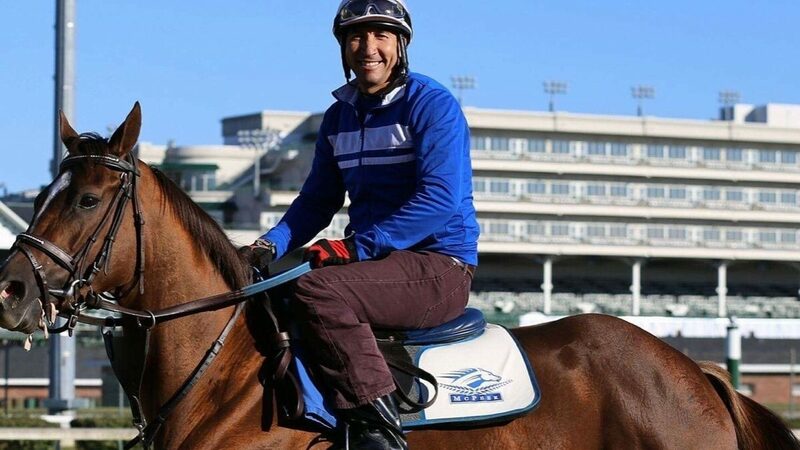 A news release issued by Churchill Downs reported emergency workers arrived quickly to Acuna’s aid, but they believe “he died instantly.” The release also noted it has been “several decades” since any similar fatal accident involving Churchill exercise riders. Training was halted immediately. A moment of silence was held before the day’s scheduled races began at 1 pm. “He was just a wonderful, wonderful person,” Sherry Stanley, executive director of Churchill’s Backside Learning Center, was quoted as saying in the release. The “backside” at Churchill provides housing for many racetrack personnel like Acuna in addition to educational and other services for the workers and their family members. Nicknamed “Cuba” by co-workers and friends, the 42-year-old Acuna had worked for McPeek for nearly a decade. Churchill officials said the Cuban native was focused on saving money to purchase a home and to bring his wife and three sons to Louisville. He held a second job with a local feed company to send money home to support his family in the meantime. Acuna recently completed the necessary immigration documents for his family to obtain U.S. Green Cards. “He had little or nothing when he started with me,” explained McPeek. “He had been saving money and got himself pretty well set up. He bought a car and was getting ready to buy a house. He worked hard all day, every day. He was working The American Dream. New York Harbor was an as-yet unraced 2-year-old bay son of Verrazano (out of Friend Of A Friend) purchased for $70k by Harold Lerner at the September 2017 Keeneland sale. He suffered fractured leg bones near the end of the morning breeze, causing the accident. His injuries were deemed too serious to successfully treat and he was later euthanized. A GoFundMe memorial campaign has been established by McPeek with the goal of raising $100k to assist the deceased rider’s family. The fund had achieved over 70 percent of that goal in only one day. Churchill Downs will hold a memorial service for Acuna in the near future with the details yet to be announced.